Originally, today’s WIOW item was going to be some badass culottes, however I blinked and they sold out. So instead, I’ve turned to my second love, buying stuff for my humble abode. And in this case, a bloody gorgeous mirror. We’re in the process of having our peach 70’s bathroom redecorated to suit my white and grey palette, and this has me browsing Pinterest, Instagram and every home interior site known to man, for inspiration for the finishing touches. 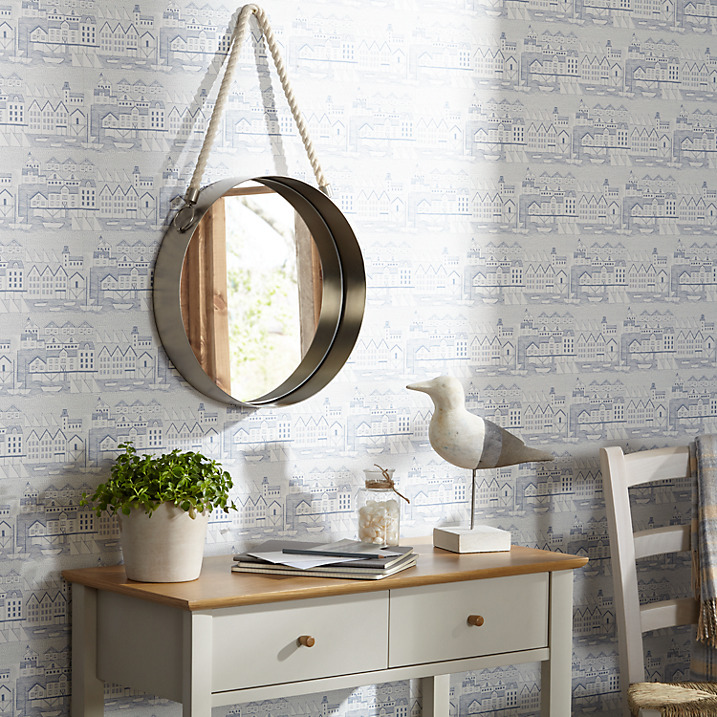 While Al still thinks he wants a mirrored cabinet, I’m putting my foot down with this Porthole Mirror from John Lewis. I am digging the whole nautical vibe and can already see it hanging above my sink. The rope detail, the metal case and the keyhole hanging fitting is just gorgeous.